Thus, the single aim our troops pursue in Yemen is to secure their economic status only by killing their war rivals. The other reason for this participation in war is that al-Bashir seeks the Gulf’s internationally influenced boost so that he could attain a personal advantage from sending our troops to the pyre. Since he is almost always obsessed and surrounded by an arrest warrant from the International Criminal Court, ICC, al-Bashir, in putting our sons in the battle front-line, targets two things: sustaining his regime economically and maintaining his regional defence against the ICC’s inevitability. Ironically, despite that al-Bashir has ventured to send Sudanese these troops to fight in Yemen, but his regime didn’t get any assistance from the Kingdom, the initiator of the Yemeni war. And this proves that al-Bashir’s priority in this sectarian conflict was to get personal gains from it since he is more preoccupied with the ICC issue, rather than by protecting the holy lands, as he justified his decision to enter Sudanese troops in the battlefields. Paradoxically, while Sudan witnesses now severe economic crises under the watch of Saudi Arabia and other Gulf countries- even the worst fuel crises are currently existing – Egypt has been receiving all kinds of political and mouthwatering economic assistance from the same countries, despite the position it took to send no single soldier to Yemen. Unfortunately, Sudan has lost the Hala’ib Triangle due to the regime’s adventures to assassinate the former president of Egypt, Hosni Mubarak, during the first half of the 1990s. Also, Alfashga, a fertile agricultural land located in eastern Sudan, has been counted as lost, too. Ironically, al-Bashir sent the Sudanese soldiers to die fighting on behalf of others while his main responsibility requires instructing the troops to liberate their occupied lands. Besides, some Sudanese provinces significantly suffer from the absence of security, where criminal gangs daily attack citizens. Known as having active human smuggling and trafficking networks in its eastern borders, Sudan has failed to stop such disgraceful acts. Also, some gangs that terrorize citizens exist in the country’s capital, as its security officials acknowledged; subsequently, the localities have failed to curb this new phenomenon. In fact, deploying Sudanese troops to help enhance security in Khartoum and other areas, instead of fighting in Yemen, is a necessarily needed task. But, it is certain that al-Bashir’s interest has always been above the people’s, so do not be surprised by his deliberate recklessness of the security of his own country. The regime’s fake parliament has ignored discussing the president’s decision to send Sudanese troops to Yemen. In fact, most of the members of parliament themselves are always instructed to follow al-Bashir’s policy, and not to state a word of objection or rejection. But, it is strange that the Popular Congress Party’s parliament members have preferred not to question the Sudanese defence minister about the escalation of the death toll of the Sudanese soldiers engaging in the battlefields. Of course, the so-called independent media working in the country cannot criticize the regime’s military matters. Therefore, the Sudanese opposition should exercise pressures on al-Bashir to withdraw the country’s troops who are playing the role of the mercenaries. In fact, all previous Sudanese governments were keen to take neutral positions in the Arab conflicts and willing to contribute to solving them peacefully. Social media efforts, which is the only room for our opposition parties to connect with the victims’ parents, must be intensified to lobby for bringing our sons back home. Since there are no any convincing moral justifications for Sudanese troops to participate in such a sectarian conflict, which helps only in deepening the existing gap between Sunni and Shiite, all of us should stand firmly against the continuation of the presence of our troops in the Yemeni battlefields. We must act now and campaign to bring these troops back home. Still, there is room to preserve Sudanese soldiers’ souls who bear the responsibility of escalating the heavy combat, even though Saudi Arabia’s troops are the ones who should bravely be responsible for achieving the mission. New criminal charges have been brought against four members of one of Sudan’s largest Protestant denominations, while 36 other Christians will appear next week on unspecified charges. Azhari Tambra, Mina Mata, George Adem and Kodi Abdulraheem were charged with ‘causing physical harm to police and supporters of a Muslim businessman’ on April 11, according to World Watch Monitor. The charge relates to events that took place when police and an armed mob attacked the premises of their church, Bahri Evangelical Church, in April 2017. They are due to face their next hearing on April 23. 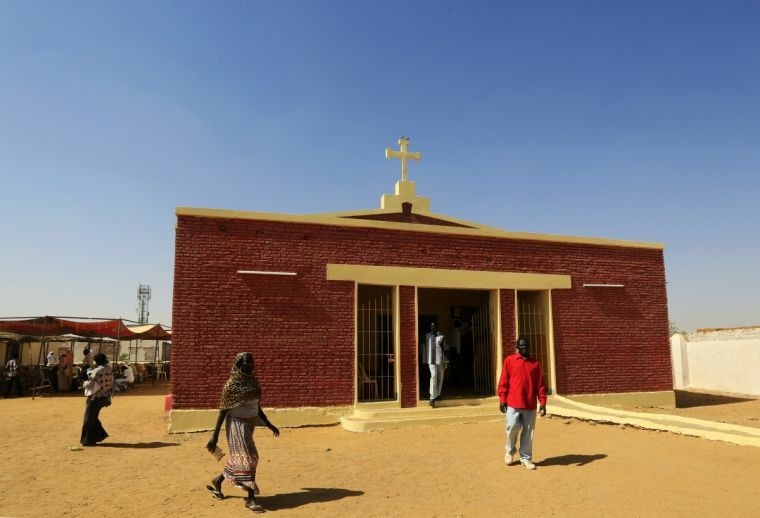 The church compound belongs to the Sudan Presbyterian Evangelical Church (SPEC), which for several years has been in conflict with the Sudanese government over the state’s attempt to confiscate or sell off church land. Christians in Sudan have complained of severe persecution by the government. Link to image. Charges were dropped, however, against SPEC members Yahaya Abdulraheem, Zakaria Ismail, Idris Harris, Paulos Tutu and Salim Hassan, due to lack of evidence. Thirty-six other Christians are set to appear in court on April 26, on charges currently unknown. Tension between the Sudanese government and SPEC began in 2012, when the government reinstated the chair of the SPEC’s Evangelical Community Council, who had previously been dismissed for fraud. After complaining of his removal to the state, Hamad Muhammad Salah was reinstated to the role of council chair despite the government lacking the authority to make such a move. Since then, Salah is alleged to have been selling church property, which the Evangelical Community Council is responsible for, to businessmen with government affiliations. Churches belonging to the Sudanese Church of Christ (SCOC) have also been confiscated or destroyed. Church members who peacefully protested them have found themselves imprisoned and physically assaulted by authorities. SPEC resistance to the forcible takeover of one of its school properties last year resulted in the stabbing to death of church elder Younan Abdallah, according to Middle East Concern. Alongside state demolition or confiscation of church buildings, the building of new churches in the majority-Muslim country has also been banned, while church leaders frequently face harassment, detention and persecution. In a report for Christian Today, author Rebecca Tinsley has described Christians in the country as facing ‘ethnic cleansing’ and ‘systematic bombardment’ by their government. Sudan became increasingly authoritarian following the secession of South Sudan in 2011, with Sudan’s President Omar al-Bashir promising a stricter form of sharia law across the country. In February seven church leaders were fined for ‘objection to the authorities’, in another conflict over the state confiscation of churches. Torong Tura — The rebel forces led by Abdelwahid El Nur claimed the killing of 27 Sudanese soldiers in Jebel Marra on Wednesday evening. Sudan’s President Omar al-Bashir has issued a presidential decree relieving Foreign Minister Ibrahim Ghandour of his position, state news agency SUNA reported on Thursday. Ghandour on Wednesday asked parliament to step in and help Sudanese diplomats, who had not been paid their salaries in seven months or given funds to rent Sudanese diplomatic mission headquarters abroad. The funds requested by the foreign ministry amount to less than $30 million, he said, the first public comment by a Sudanese government official on the central bank’s inability to provide foreign currency to cover state affairs. Since then, officials have been trying to attract investors to help prop up its economy, which has been struggling since the south seceded in 2011. 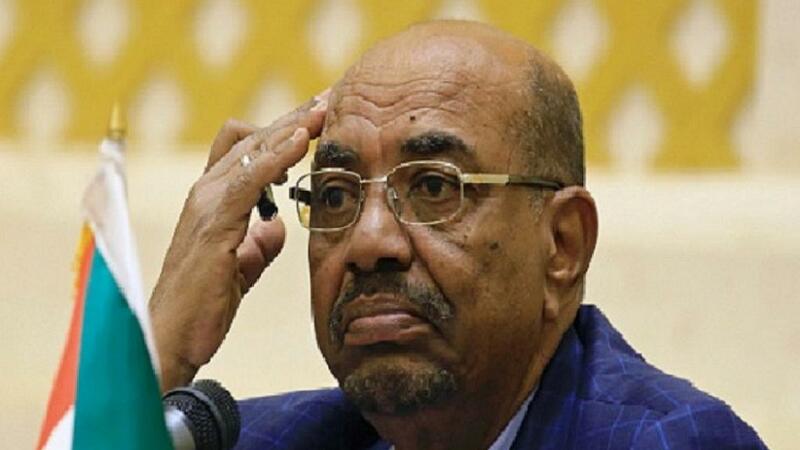 That cost Sudan three-quarters of its oil output, the main source of foreign currency and government income. The central bank has for years avoided publicly releasing information surrounding its foreign currency holdings. 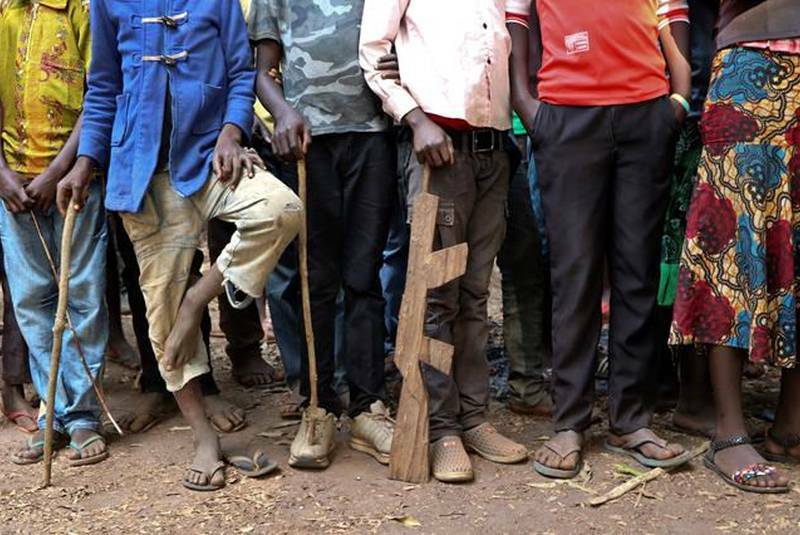 JUBA, South Sudan — More than 200 child soldiers were released by armed groups in war-torn South Sudan, part of a series of releases that will see almost 1,000 children freed in the coming months. The release comes weeks ahead of the young country’s third round of peace talks, scheduled to be held at the end of the month in neighbouring Ethiopia. A ceasefire signed on Dec. 24 was broken hours later and another round of talks were inconclusive. More than 60% of the well over one million refugees who have poured into neighboring Uganda are under the age of 18, government and United Nations officials say. More than two million people have fled South Sudan overall. Amid the fighting, over 75 000 children have found themselves on their own in Uganda and other neighboring countries, according to the U.N. refugee agency, separated from their families in the chaos or sent by their parents to relative safety. Some teenagers find themselves the head of their households, taking care of siblings. One 16-year-old boy now takes care of his younger brother. “My father was shot in the war,” he said. “And then my mother, I don’t know where she went.” He doesn’t know if she’s dead or alive. More than 60% of the well over one million refugees who have poured into neighboring Uganda are under the age of 18, government and United Nations officials say. More than two million people have fled South Sudan overall.Amid the fighting, over 75 000 children have found themselves on their own in Uganda and other neighboring countries, according to the U.N. refugee agency, separated from their families in the chaos or sent by their parents to relative safety.While many children have reunited with relatives after crossing the border, others are matched by aid workers with foster families in an effort to minimize the disruption in their lives. Without parents, some children are left vulnerable to exploitation and abuse, aid workers say. The two brothers fled to Uganda on the back of a car after seeing their father’s body on a street in their village. After arriving in Uganda they were taken to a reception center run by the U.N. refugee agency. As the attack helicopters buzzed over densely-packed city streets, and rotor-blades and machinegun bullets kicked up dust and fear, people ran for their lives. The South Sudan civil war raged on the streets of the world’s newest country’s capital, Juba. Mortars exploded and RPGs rounds fizzed. Caught in the middle, were 30,000 internally-displaced civilians living in a ramshackle, rambling camp. They began running to the nearby United Nations headquarters where 1800 international troops were stationed, with a clear mandate to protect civilians. However, as the battle intensified, with hundreds dying, UN soldiers started turning away the refugees, carrying their lives with them – 20L containers of water, mattresses, babies – seeking safety and protection. Inside the compound, New Zealand Defence Force Lieutenant Colonel Melanie Childs, who was attached to the United Nations Mission in South Sudan (UMISS) as a deputy plans officer, was getting increasingly frustrated. “It was a very challenging situation,” said the Christchurch-born East Timor and Afghanistan veteran. “We had a number of troop contributing countries who didn’t react the way they needed to. There was widespread confusion over whether these civilians should be allowed in or pushed back. While orders from the Joint Operations Centre were failing to be carried out, either through translation issues or the fog of war, Childs decided to take her own action. Alongside a Dutch lawyer, she hit the chaotic streets and started corralling hundreds of refugees and convincing them to follow her inside the UN compound, which was a relatively safe zone. She was in radio contact with a British Royal Marine who was doing the same. Elsewhere, US police officers and Norwegian staff officers also rounded up refugees caught in the crossfire. Snapshots of the celebration. Link to image. More than 600 orphans participated in the Arab Orphans Day celebration organised by the Qatar Charity (QC) office in Sudan. A number of activities and events were held on the occasion, which was attended by Dr Mustafa al-Sinari, deputy commissioner of humanitarian aid in Khartoum State, in addition to a number of QC’s partner organisations. The celebrations included plays and performing arts presented by the orphans, which dwelt on issues of sponsorship and philanthropy. Besides, the orphans were able to express their wishes for the children of Palestine through paintings. A variety of entertainment programmes for children were also presented by a specialist team as part of the celebration. The attending guests expressed their gratitude to Qatar, QC and the sponsors for their efforts in the service of orphans in Sudan, Qatar Charity said in a statement. The orphans sponsored by QC expressed their gratitude towards the charity and Qatar through drawings, colouring, wall paintings and clay games. Nine outstanding orphaned students were honoured during the celebration for their academic performance. 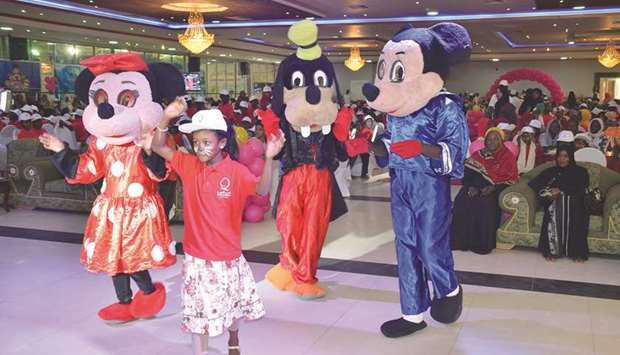 The celebrations were held as part of QC’s activities for its sponsored orphans in Sudan for this year. A number of sports, health, education, entertainment activities will be implemented with the aim of providing comprehensive social care to orphans, the statement noted. QC sponsors around 10,000 orphans in Sudan, providing financial support as well as comprehensive education and healthcare. It also organises targeted activities for them. The organisation said it “strives to develop its work and implement development projects for orphans in Sudan.” It had previously built the Sheikha Aisha Bint Hamad Bin Abdullah Al-Attiyah Model Orphans City, which was opened in mid-April last year, at a cost of more than $12mn in Al Damar, River Nile State. The Model Orphans City has 200 houses, each consisting of two rooms, a hall, a kitchen and a bathroom, four schools for boys and girls, a kindergarten, a health centre with 18 doctors and nurses, a vocational training centre, a mosque with a capacity of 850 worshippers, playgrounds, a children’s park, two artesian wells, 28 water coolers, 32 shops and a sanitation system. This article was first published by The Washington Examiner on April 14, 2018. News about my country, South Sudan, probably doesn’t make it very often to your social media feed. When it does, it’s for stories about deadly attacks, or refugees fleeing their homes, or the humanitarian emergency that keeps many of my compatriots in its grip. Seven years ago, South Sudan was born into an atmosphere of optimism. My father’s generation had persevered through decades of war, relishing the promise of a new horizon to build prosperity. Finally, that possibility seemed close to becoming a reality, but the conflict that broke out in 2013 shattered it. Since then, tens of thousands of South Sudanese have been killed. Half of the population is now food-insecure. One quarter has been displaced. We had momentary reprieves from violence, including the 2015 Agreement on the Resolution of Conflict, but South Sudan remains at war with itself. Today, violence is part of our everyday life. If you think that there’s no hope for peace in South Sudan … well, it’s not your fault. After all, everything you hear is bad news. But my perspective is a bit different. I’m a 32-year-old South Sudanese development worker with Search for Common Ground, and I see daily evidence that hope is very much alive in my country when I go to work. My organization runs programs that build relationships of trust between groups across ethnic and political divides. We call ourselves peacebuilders. We look at the drivers of conflict at the local level and bring everybody to the table to find resolutions. We find ways for communities to work together toward addressing shared needs, like safety, education, representation — the titular “Common Ground” in my organization’s name. In this way, we create bonds of mutual trust, even in the most polarized environments. We then use media to reinforce these bonds by giving a voice to those at the margins of decision-making. Radio, the most popular medium in South Sudan, is an especially powerful tool to achieve that. Currently, we produce two radio programs in partnership with the Catholic Radio Network. The first is a talk show called Hiwar al-Shabaab, meaning youth dialogue; it provides a platform for young people to call in and discuss their issues. The second is a drama, Sergeant Esther, following the trials and triumphs of a female police officer who uses nonviolent methods to uphold the law. I know what you’re thinking. Local peace initiatives and radio shows seem small in comparison with the daunting problem of interethnic conflict in South Sudan. However, the results we achieved are groundbreaking. In areas targeted by these projects, independent evaluators measured a staggering 200 percent growth in interactions between tribes, of which 90 percent were positive. They measured the increase in intertribal trust at 63 percent. I see these accomplishments and I wonder — what would happen if we scaled these initiatives to target hundreds of communities across South Sudan? How would my country change? Internationally, many efforts to end the war are taking place. In February, the High-Level Revitalization Forum held in Addis Ababa brought together the South Sudanese government, opposition parties, and other actors to revive the components of the 2015 Agreement. The Forum ended without major gains, but many saw it as a promising sign that future talks could bring about a new peace agreement. I believe that these institutional efforts are critical to solving the crisis. But without grassroots peacebuilding efforts now, it will be difficult to rebuild the relationships needed for citizens to embrace the peace agreement when it comes. As the world’s largest dedicated peace-building organization, we know it from experience: in absence of local buy-in, ceasefires negotiated at the national level don’t last. That’s why it’s so important to support and scale local, pragmatic, effective peacebuilding programs in South Sudan. Not only are they transforming violence into cooperation in local communities, they also are a promising avenue to build a national constituency for peace, which can serve as the backbone for future peace talks. The way to ending the horrific and hugely destabilizing crisis in my country goes through grassroots peacebuilding as much as it does through high-level efforts. It’s time for the international community to recognize that the kind of local work we do as peacebuilders works. It’s time to invest in it and take it to a wider public. It’s time to link local experts with policymakers, so that any peace agreement is built on the needs of the people who are supposed to uphold it. It’s time to embrace and cultivate the signs of hope that I see everyday as I do my job. When that happens, I bet you’ll start hearing different news about South Sudan. Sudanese soldiers patrol outside the west of the Yemeni coastal port town of Mokha. Link to image. Dozens of Sudanese soldiers were reportedly killed by Huthi rebels in northern Yemen in an ambush last week, Yemeni military sources said. The insurgents reported the attack on their Al-Masirah website. The losses are reported to be one of the heaviest suffered by Sudan since deploying hundreds of soldiers in 2015 as part of an Arab coalition fighting on the side of the Yemeni government. Khartoum has neither confirmed nor denied the report. But photographs, purportedly of soldiers killed in the ambush, have been posted on social media, making opposition leaders and analysts question President Omar al-Bashir’s decision to join the Saudi-led coalition. “People ask… ‘What benefit have we got from this major decision?’ — and they have no answer,” Ghazi Salaheddin, a former minister of state for foreign affairs turned opposition leader, told AFP. “Bring back our sons and brothers! Why are we fighting a war that is not ours?” activist Islam Saleh wrote on Facebook. 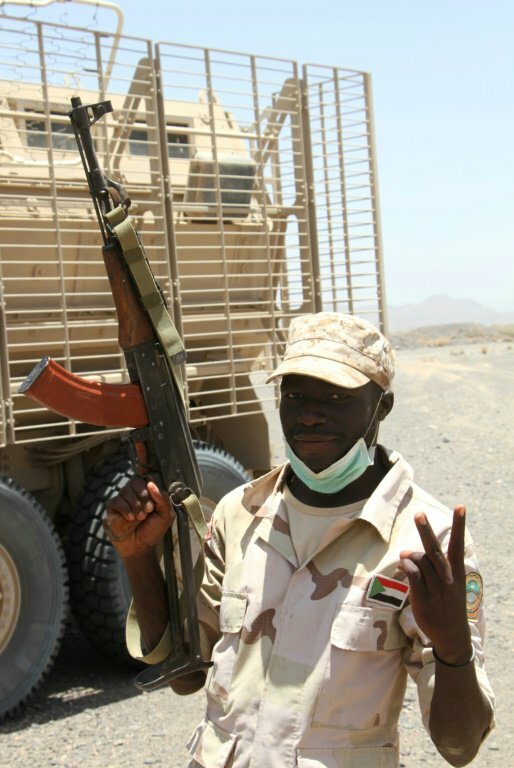 A Sudanese soldier flashes a victory sign outside the Yemeni coastal port town of Mokha. Link to image. Bashir’s decision to deploy troops came after a major foreign policy shift by Sudan that saw Khartoum break its decades-old ties with Shiite Iran and join the Saudi-led coalition. Deploying troops means casualties and so a decision like this needs parliament’s backing, said Salaheddin. “Which is not the case here,” he said, pointing to what he called a “lack of parliamentary support and… no clear political objectives” to the deployment of troops. The alliance was launched to push back the Iran-allied Huthis, who seized control of much of Yemen including the capital Sanaa, and to restore the internationally recognised Yemeni government. Bashir, who came to power in an Islamist-backed coup in 1989, has said that joining the coalition was an “ideological” move. “From the beginning, they said it was an ideological decision aimed at protecting the holy sites in Saudi Arabia,” said Khaled al-Tijani, editor of Elaff newspaper, referring to Mecca and Medina. Sudanese also doubt the intentions of Saudi Arabia, Tijani said, as several high-ranking Saudi officials have visited neighbouring Cairo but not Khartoum. Saudi Crown Prince Mohammed bin Salman visited Cairo last week and agreed on massive investments in Egypt, which is also a member of the coalition but has not deployed troops. “Saudi Arabia helped Egypt with tens of billions of dollars but Sudan has received peanuts… People feel it’s a type of discrimination,” said Tijani. “There is not enough compensation for Sudan from this strategic relationship as it is shedding blood in Yemen for this coalition,” he said. For Tijani, the losses in the Yemen ambush were proof of a foreign policy “failure” by Khartoum. Khartoum has not disclosed how many troops it has deployed but insists it will remain in the coalition. “I renew my commitment that our troops will continue with their mission within the Arab coalition until it achieves its noble goal,” Bashir said last week. Foreign Minister Ibrahim Ghandour reaffirmed the pledge at a meeting with envoys of Saudi Arabia, the United Arab Emirates and Egypt on Tuesday at which the diplomats offered condolences to families of Sudan’s “martyrs” in Yemen. Some experts say Sudan will ultimately benefit. 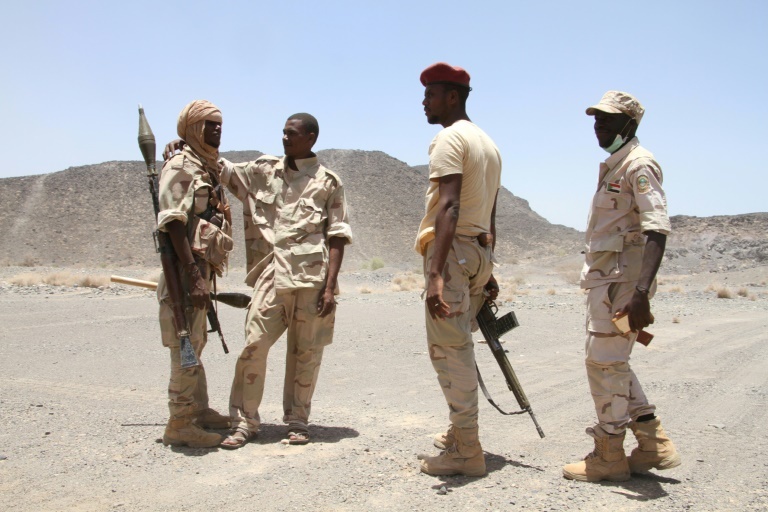 “Sudanese troops are guarding borders between Saudi Arabia and Yemen, which is why Saudi Arabia is in need of the Sudanese military,” said columnist Ahmed Al-Noor.